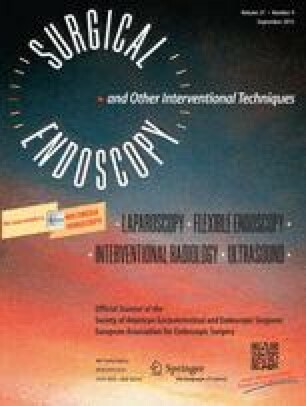 Intraoperative colonoscopy (IOC) is useful for locating colonic pathologies during laparoscopy, but bowel distention compromises the subsequent visualization and procedure. Carbon dioxide (CO2), with its rapid absorption, has been proved effective for alleviating bowel distention in ambulatory settings. Its intraoperative role, however, has never been studied. This study aimed to assess the feasibility, safety, and advantages of CO2-insufflated IOC during laparoscopy. For this study, CO2-insufflated IOC was performed for 20 patients under CO2 pneumoperitoneum. Parameters, including end-tidal CO2 (ETCO2) and minute volume, were prospectively registered. Time until resolution of bowel distention was determined by laparoscopic evaluation. All lesions were located by CO2-insufflated IOC in 15 min. During IOC, ETCO2 increased, but remained within normal values, and was quickly compensated with minimal hyperventilation. Bowel distention totally disappeared in 21 min, allowing immediate initiation of laparoscopic procedures under adequate visualization. The findings show that CO2-insufflated IOC during laparoscopy is feasible, safe, and of practical value for minimizing bowel distention without impeding the subsequent visualization and procedure. Part of this study was presented at the Society of American Gastrointestinal Endoscopic Surgeons (SAGES) in Denver, Colorad in March 2004. The authors are most grateful to Olympus America Inc for providing the Olympus ECR device and necessary instruments.